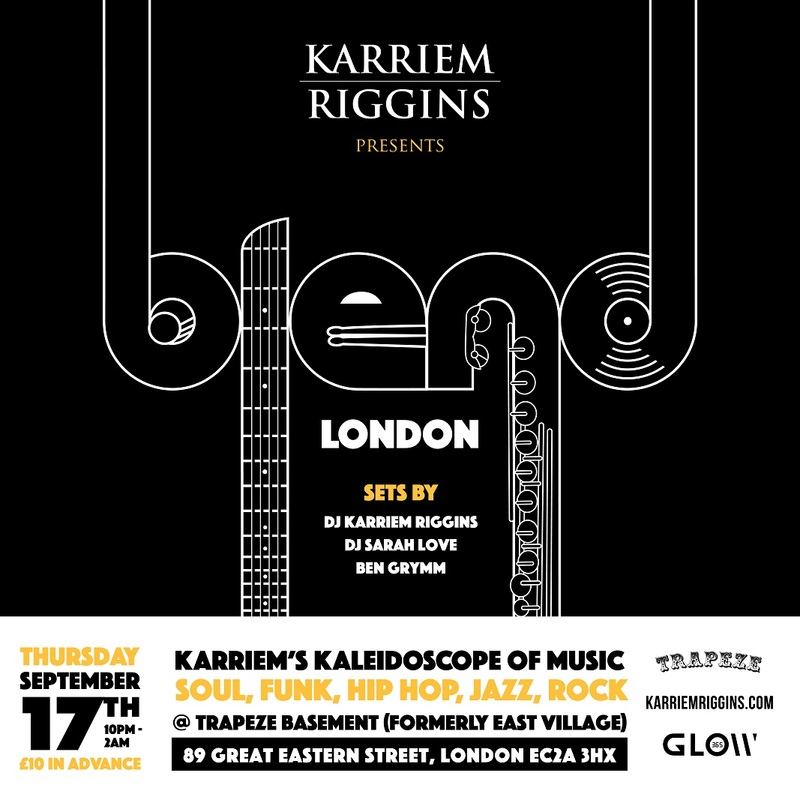 A very rare opportunity to witness jazz drummer and hip hop producer Karriem Riggins perform in London in what is his first ever solo show in London. With production credits for work with a whole range of well known hip hop artists including Talib Kweli, Slum Village, The Roots, Common and J Dilla under his belt, the jazz drummer has also performed with Diana Krall, Oscar Peterson and Donald Byrd to mention but a few. He has also turned his hand to a bit of turntablism, and brings his DJ set to England for the show he calls Blend, so called as he mashes together his favourite jazz, soul, funk and hip hop sounds for a unique experience. It’ll get lively…..!!!! Joining him will be the UK’s First Lady of Hip Hop, ex MTV and BBC 1Xtra presenter DJ Sarah Love. 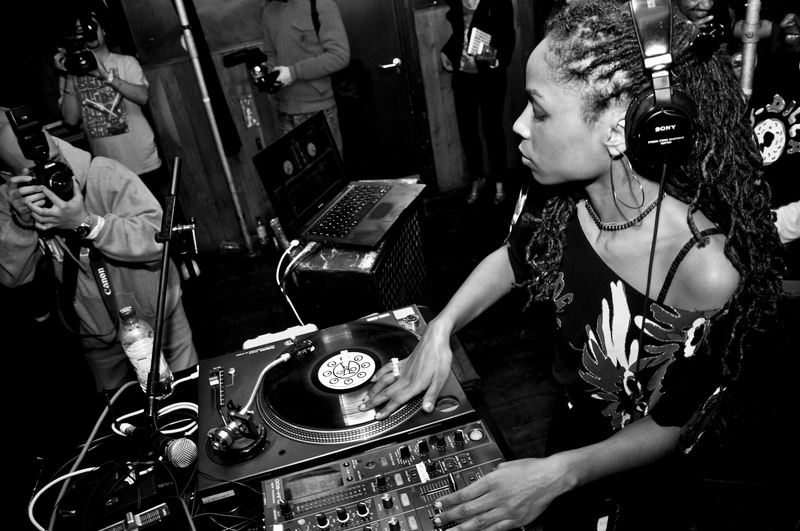 A major player in UK hip hop’s progression since her days at London’s renowned Deal Real and Kung Fu sessions, she now regularly tours overseas to Europe and Australia. You can catch Karriem, Sarah and Ben Grymm performing on Thursday 17th September at Trapeze Basement (formerly East Village), 89 Great Eastern Street, Shoreditch, EC2A 3HX. The venue is a 5 minute walk east of Old Street Tube Station.